What’s going on, everyone? I’m Ant Pruitt and this is another week with a great episode of Yet Another Tech Show. Or as we affectionately call it… YATS! Thanks for tuning in and checking out our show. 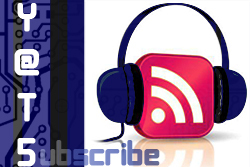 This week we have the crew in discussing interesting and entertaining tech news. As usual, Larry Press, Mike Rothman and Mat Lee are all on board to bring you fresh YATS. Here in the US, we had the big Presidential election. The battle between the two Presidential candidates ended with a victory for President Barack Obama to have his second term. Quite frankly, the YATS Crew is happy with these results, but this is a tech show and not a politics show. Therefore, we didn’t discuss that thoroughly. What was discussed is the tech used in following the election coverage. Larry was impressed with NPR’s coverage online. He enjoyed the more intuitive user experience offered by their site to give you more than just a votes tally. Mike went old school and enjoyed the coverage via PBS as well as the NY Times online coverage. Mat geeked out and asked Google Now to help with with the election results. Myself, I hung out briefly with KoPoint’s Dan Patterson on his Google+ Hangout for a few as he passed along a YouTube feed from ABC. This allowed me to fling the link to my Google TV and watch the coverage on my HDTV. With the election in mind, where were we with social media usage? Were users speaking about their votes online? In a word, yes. We chat about the phenomenon of individuals freely discussing their votes online versus discussing publicly. Do you? At one time, political discussions were taboo in the workplace. I’m not one to discuss my votes online or IRL. Mike, on the other hand, allows you to read between the lines on his twitter feed or facebook stream to see where he stands. Just not IRL. (Hopefully, you YATS listeners know that “IRL” means “in real life”). What should President Obama’s technology agenda be for the next four years? Give me a super duper broadband connection! Something like Google fiber. Linux users that happen to be gamers can chomp at the bit more. Valve has announced a beta of its Steam product. This is so popular on the Windows and now Mac environment leaving the Linux users behind. I am a Linux user and when I want to play my favorite PC video games, dual booting into Windows is my only option. The video driver support has been a pain for Linux users from OEM’s such as nVidia. Apparently, the OEM’s are stepping their game up. Massive open online courses (MOOC) are continuing to explode. Is this a disruption to the traditional college experience? Larry doesn’t feel it’s a perfect model. The presentations “doesn’t scale spontaneity and interaction” in the classroom. There are just some things you can get from traditional lecture that you just don’t get from a MOOC. Did you all check the mid-year Internet Trend Report? I can’t say that I did. Mike shared this report with us. Some points of discussion included the trend of more and more cellphones are being purchased today. Not to mention the amount of tablets being purchased this year. Android continues to be on the rise with its market share penetration. Well Microsoft is now going to offer Microsoft Office for iOS and Android as well. With the release of the Surface tablet, we ask why would Microsoft make this move. One could play devil’s advocate on the idea that the Surface tablet wouldn’t be widely adopted. Or is it just into another way eat into the iOS and Android market share where users are office members on the go? The YATS crew is in love with Google Docs, are the masses desiring to have Office products instead? Thanks for listening to the show, everyone. Be sure to check out all of our favorite social networks with the links on the menu above. 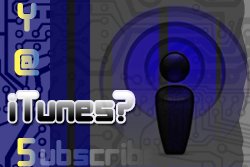 Also give us a rating on iTunes and subscribe to us in your favorite podcatcher. Catch us live every Wednesday evening in our Hangout via YATS-TV.